"Bromwich" redirects here. For other uses, see Bromwich (disambiguation). West Bromwich i/wɛst ˈbrɒmɪtʃ/ is a town in Sandwell, West Midlands, England. 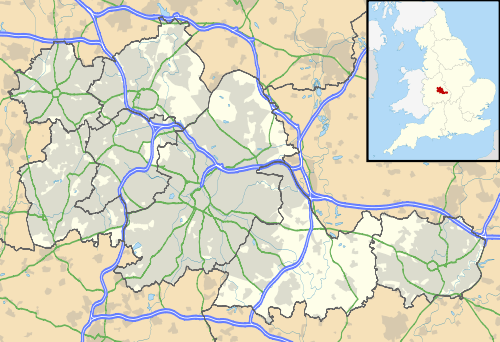 Historically in Staffordshire, it is in the Black Country, 5 miles (8 km) northwest of Birmingham, and had a population of 75,405 at the 2011 census. West Bromwich was first mentioned as Bromwic ('broom village') in the Domesday Book of 1086. It is believed that it may have originally been part of the Handsworth parish. A Benedictine priory existed in West Bromwich from the 12th century around which the settlement of Broomwich Heath grew. In 1727, the town became a stop on the coaching road between London and Shrewsbury and its growth began. The prefix 'West' serves to distinguish it from the village of Castle Bromwich, also in the West Midlands but the other side of Birmingham. In the 19th century, coal deposits were discovered, ensuring that the town grew rapidly as an industrial centre, with industries such as spring, gun and nail making developing. Well before the end of the 19th century, West Bromwich had established itself as a prominent area to match older neighbouring towns including Dudley and Walsall. In 1888, West Bromwich became a county borough, incorporating the village of Great Barr. It was expanded in 1966, acquiring most of the borough of Tipton and Wednesbury urban district as well as a small section of Coseley urban district, before joining with the neighbouring county borough of Warley (which contained the towns of Rowley Regis, Oldbury and Smethwick) in 1974 to form the Metropolitan Borough of Sandwell. Charlemont Hall, built during the 1750s, stood on the west side of the present Charlemont Crescent, in the Charlemont and Grove Vale district of the town. Charlemont Hall was described c. 1800 as 'a lofty neat-looking house of brick, faced with stone, with iron palisades etc. in front'. An east wing was added in 1855. The last occupant was the widow of Thomas Jones, town clerk of Wednesbury 1897–1921. The house was demolished in 1948, and is now covered by a number of smaller detached homes. Much of the surrounding area was developed during the 1960s as the Charlemont Farm housing estate, which is a mix of private and council housing. West Bromwich suffered heavily in the Cholera epidemic of 1831 which spread northwards into the town. A temporary board of health was set up and a hospital opened in the former Revivalist chapel in Spon Lane. The natural gradual slope of the land provided drainage within the soil, however, urbanisation made this increasingly difficult and drainage along the streets was described as inadequate. The West Bromwich Town Improvement Commissioners was established in 1854, and they tackled the drainage problem in the town. They appointed members to new titles and in the 1880s bought land in Friar Park for a sewerage farm. Under the Reform Act 1832, West Bromwich became part of the new southern division of Staffordshire, and under the Reform Act 1867 it was transferred to the parliamentary borough of Wednesbury. Under the Redistribution of Seats Act of 1885, the borough of West Bromwich became a parliamentary borough returning one member. In 1885, it was held by the Liberal Party but from 1886 to 1906 it was held by the Conservative Party before being held by the Liberal Party again until 1910 when the Conservative Party regained the area which they held until 1918 under the representation of Viscount Lewisham. In 1918, it was won by Labour who have held it since, except for between 1931 and 1935 when it held by the National Unionists. By the outbreak of World War I in 1914, many of the older houses that had been built to house workers during the Industrial Revolution were becoming unfit for human habitation Sanitation was inadequate, decay was rife, and the homes were becoming a danger to the health and safety of their inhabitants. After the end of the war, the local council started building new homes to rehouse people from the rundown town centre. However, there are still many late 19th century and early 20th century buildings around the centre of West Bromwich today. The first Council housing in West Bromwich was built in 1920 on the Tantany Estate to the north of the town centre. Within 20 years, several thousand council houses had been built by West Bromwich County Borough Council. The largest developments were mostly in the north of the town, including the Charlemont Farm Estate around Walsall Road, and the Friar Park Estate near the border with Wednesbury. The town suffered significant air raid damage in World War II, with 58 civilian deaths, most of them in the raids of 19 November 1940 in the area around Oak Road and Lombard Street to the west of the town centre. There were a few other less severe raids in the war on parts of West Bromwich including Stone Cross and Tantany, with no fatalities. This occurred on the same night as the Birmingham Blitz, which resulted in thousands of casualties, as well as the less severe raids on nearby Dudley and Tipton. The first major postwar council housing development was the Harvills Hawthorn Estate near Hill Top, which was completed in 1948. Mass immigration from the Commonwealth took place in West Bromwich during the 1950s and 1960s, with most of these hailing from the Indian subcontinent, although a significant number of Afro-Caribbean immigrants also settled in West Bromwich. The majority of these immigrants settled in the older parts of the town that were mostly made up of Victorian and Edwardian terraced houses. The local road network was also massively improved during the 1960s and 1970s. West Bromwich is located at the extreme northern end of the M5 motorway, and has had direct access to it since the early 1960s. This gave the town an immediate fast road link to faraway places including Worcester, Gloucester, Bristol and Exeter. Traffic passing through West Bromwich on the main route from Wolverhampton to Birmingham was diverted along the new dual carriageway, the Northern Loop Road (also known as The Expressway), after its opening in 1972, with another dual carriageway being built to link The Expressway with neighbouring Oldbury. West Bromwich County Borough was expanded in 1966 to include the bulk of Tipton and Wednesbury, while a small part of the south-eastern section of the town was absorbed into the new Warley County Borough which was centered on neighbouring Oldbury, Smethwick and Rowley Regis. The actual town boundaries of West Bromwich were also altered at this time, placing the Friar Park estate in Wednesbury, while the Hateley Heath area of Wednesbury was now within the borders of West Bromwich township. As with many other parts of the Midlands, West Bromwich was hit badly by the recessions of the mid-1970s and early 1980s, resulting in mass unemployment across the town, exceeding 20% in some districts. Queen's Square shopping centre opened in the town centre in 1971, providing shoppers with a 60-unit indoor shopping centre and an 850-space multi-storey car park. It cost £3million to build. The smaller King's Square shopping centre also opened in the town in 1971. On 8 December 2011, 40 years after the opening of Queen's Square, Sandwell Council announced that Queen's Square would be refurbished at a cost of £5million. By this stage, the centre was falling into disrepair and a mere 33 of the 61 available units were occupied. Once again, West Bromwich had been hit hard by another recession, with high unemployment throughout the town, as well as a high vacancy rate for commercial and industrial units. Many local towns, particularly Dudley, lost many of their major stores around the time that the Merry Hill Shopping Centre which was developed at Brierley Hill during the second half of the 1980s as businesses looked to take advantage of the Enterprise Zone incentives that the centre offered. West Bromwich's fortunes as a retail centre were affected by the Merry Hill development. This contributed to the closure of its Marks and Spencer store on 25 August 1990, along with the Dudley store, to be replaced by a new store at Merry Hill, with most of the staff at the new store being transferred from either West Bromwich or Dudley. British Home Stores also pulled out of the town around the same time, and a new store at Merry Hill which opened in November 1989 and also spelled the end of the Dudley store. The town lost another big retail name in 2005 when the Littlewoods store closed as part of the retailer's decision to switch wholly to online shopping; the unit has since been taken over by New Look. Retail developments around Oldbury, beginning with the SavaCentre hypermarket in 1980, have also affected trade in West Bromwich. The recession beginning in 2008 has pushed the town centre further into decline, a notable casualty being the Woolworths store which closed on 30 December 2008 as a result of the retailer going into liquidation; the building was not re-occupied until Home Bargains took it over in 2012. Several more factories have closed in more recent years as manufacturers look to countries where the labour is cheaper, but West Bromwich remains a relatively busy industrial area despite the decline of the last 35 years. West Bromwich's road links were further enhanced in 1995 on the completion of the Black Country Spine Road which also by-passes Wednesbury and the east of Bilston. The completion of this new road opened up several square miles of previously inaccessible land, and has allowed several major businesses to set up along the route. This has helped relieve some of the unemployment problems in West Bromwich, although most parts of the town still have the highest unemployment rates in the West Midlands. West Bromwich was among the many towns and cities in England affected by the widespread rioting in August 2011. On 9 August, shops closed their doors early to combat looting and vandalism; this was followed by widespread acts of vandalism and violence followed. Police closed the main roads leading into the town until the following morning. The town has enjoyed something of an economic revival since 11 July 2013, when the New Square shopping and entertainment complex opened in the town centre on land adjoining the existing Queen's Square shopping centre. Hundreds of jobs have been created and the town has attracted retailers including Next, JD Sports, Primark and Bank Fashion, as well as an Odeon cinema, several food and drink outlets, and a Tesco Extra superstore. The archives for West Bromwich Borough are held at Sandwell Community History and Archives Service. 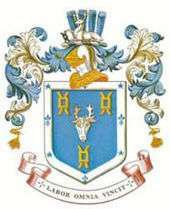 The coat of arms of West Bromwich. The town is divided into two constituencies; West Bromwich East and West Bromwich West. West Bromwich East is served by Tom Watson of Labour who was initially elected in 2001. Tom has been re-elected twice since, despite having a reduced majority at the 2010 general election. Preceding him was Peter Snape, also of Labour, who had been MP since the 1974 general election. West Bromwich West is served by Adrian Bailey of Labour who won a 54.3% share in the 2005 general election. He has been MP for the seat since the 2000 by-election. Preceding him, the MP for the seat was Betty Boothroyd, who for eight years served as the first female Speaker of the British House of Commons. West Bromwich is the largest town in the United Kingdom without its own Royal Mail postcode. Climate in this area has mild differences between highs and lows, and there is adequate rainfall year round. The Köppen Climate Classification subtype for this climate is "Cfb". (Marine West Coast Climate/Oceanic climate). 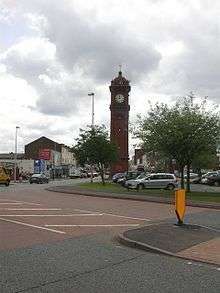 The Farley Clock Tower in memory of Reuben Farley first Mayor of West Bromwich. The town is famous for its football club, West Bromwich Albion. The club was founded in 1878 and in 1888 it became one of the twelve founder members of the Football League. It won the league championship in 1920 and has won the FA Cup five times, most recently in 1968. The club were Football League Champions in 2008, winning automatic promotion to the Premier League. Albion were based in and around the centre of West Bromwich during their formative years, but moved further out of the town in 1900 when they switched to their current ground, The Hawthorns. The Hawthorns is the highest football ground (above sea level) in the country. Engineering and chemicals are important to the town's economy, as it played a crucial part in the Industrial Revolution during the 19th century and still retains many manufacturing jobs to this day, despite a steady nationwide decline in this sector since the 1970s. Sandwell General Hospital (On the site of the former Hallam Hospital) is located near the town centre. It is currently part of the Sandwell and West Birmingham Hospitals NHS Trust, one of the largest NHS teaching trusts in the United Kingdom. William Legge, 2nd Earl of Dartmouth had his seat at Sandwell Hall. Legge was unusual as an aristocrat of this period by being a Methodist and attending the Wednesbury Methodist meetings, where fellow Methodists – many of them colliers and drovers – knew him as "Brother Earl". West Bromwich Town Hall, situated in the centre of the High Street, is a Grade II listed building. It was built between 1874 and 1875 in brick and stone to an Italian Gothic design, and its interior reflects the Victorian interest in Gothic and Medieval architecture. Its Grand Organ, built in 1862, is considered to be of historic importance for its musical and technical qualities. West Bromwich Manor House, Hall Green Road B71 2EA. Built by the de Marnham family in the late 13th century as the centre of their agricultural estate in West Bromwich only the Great Hall survives of the original complex of living quarters, agricultural barns, sheds and ponds. Successive occupants modernised and extended the Manor House until it was described in 1790 as "a large pile of irregular half-timbered buildings, black and white, and surrounded with numerous out-houses and lofty walls." The Manor House was saved from demolition in the 1950s by West Bromwich Corporation which carried out an extensive and sympathetic restoration of this nationally important building. The Oak House is an historic building in the Greets Green area. Its exact date of origin is uncertain, but in 1634 it was owned by the Turtons. John Wesley preached there twice in the late 1700s. Reuben Farley gave it to the town as a museum, with the formal opening on 25 July 1898. In 1949 it was protected as a Grade II* Listed Building. 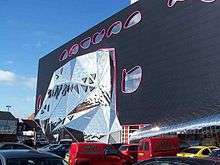 In August 2009, The Public arts centre designed by architect Will Alsop fully opened. By 2013, the venue was attracting nearly 400,000 visitors a year and was bringing leading national and international artists to the town. Originally beset by problems before opening, in May 2013, it was revealed that Sandwell Council were considering borrowing a substantial amount of money to repurpose the £70 million building and lease it to Sandwell College to provide a new sixth form centre to complement the recently opened Central Campus in the town. A large portion of the town centre has been procured by Tesco for the development of a Tesco Extra Store and shopping centre called New Square, West Bromwich which has been built on top of the old hospital. Since the early 2000s the tenants of homes and businesses have slowly moved out of the site to make way for the development. Cronehills Primary School (staff and pupils) relocated to the newly built Eaton Valley Primary School, which opened in September 2009. The police station relocated to a brand new building the other site of the ring road. Major works started on the site during October 2011 and the development should be complete by late Spring 2013. West Bromwich is a culturally diverse area with many places of worship for several different religions. The Church of England provides the most places of worship across the geographically wider West Bromwich Deanery (taking in West Bromwich, Hill Top, Stone Cross, Carter's Green, Holy Trinity, All Saint's, St Andrew's, St Francis, Friar Park and others) which contains nine Anglican churches and the newly formed West Bromwich Network Church. Other Christian denominations are present, including Roman Catholic, Seventh-day Adventist, Methodist, Baptist, Elim Pentecostal, Assemblies of God and other independent churches including Jehovah's Witnesses. The deanery of West Bromwich is under the Diocese of Lichfield. West Bromwich has three main mosques, two on Dartmouth Street. The Main mosque of West Bromwich is the Jami Masjid and Islamic Centre based at 67 Dartmouth Street which currently is being reconstructed to accommodate hundreds of people. All different colours and ethnicities attend the peaceful prayers. Also there is the Jami Masjid and Islamic Centre which accommodates up to 400 worshippers during busy periods like Friday Prayers and Eid Prayers. Jami Masjid and Islamic Centre was the first mosque in the area, of Bangladeshi origin: it holds many programs and events. It will be shortly moved to a larger location. There is also another mosque, Madinatul Uloom Al-Islamiyah. It is situated at 1a-1b Moor street. The transformation begin in 2001 and it now has Islamic evening classes and a big prayer facility. This mosque is also managed by Sunni Bangladeshi, attracting citizens from all backgrounds. The building is also used for National Curriculum English, Maths and science tuition by members of the wider community, including people of other faiths. The tuition centre is run by local teachers and is called Cohort Tuition. There is also a very large number of Sikhs in the area. There are many Gurudwaras. Sikhs have settled in the area since 1950, when the first influx of immigrants came. The oldest Gurdwara in West Bromwich is the Gurdwara Guru Har Rai Sahib Ji on High Street. Other Gurdwara's include Guru Nanak Gurdwara on Edward Street and Gurdwara Sachkhand Ishar Darbar on Vicarage Road. Hindus have had a formal place of worship in West Bromwich since the opening of the Shree Krishna Mandir in 1974, in a converted church once called Ebenezer Congregational Chapel, which had closed in 1971. It was damaged by fire on 8 December 1992, the same date that a Mandir in Birmingham and another in Coventry were damaged in arson attacks. It was believed to have been connected to religious violence in India that was spreading into communities in Britain. In 1875, being locked out of a packed Evangelist meeting in Birmingham caused John Blackham of Ebenezer Congregational Church to start the Pleasant Sunday Afternoon Movement. For roads, the M5 motorway between the West Midlands and the West Country and its junction with the M6 motorway passes through the town, making West Bromwich at the hub of Britain's motorway network. Improvements are underway at A41 junction by West Bromwich town centre after a £25 million project grant was awarded to the area to cut congestion for commuters. The junction, which is where The Expressway meets All saints way, currently carries over 60,000 vehicles a day, and is close to Junction 1 of the M5 The project involves the creation of a dual carriageway underpass, beneath an improved roundabout. This work began in June 2010 and should hopefully be completed in Autumn 2012. West Bromwich has its own bus station in the town centre, with connections to Birmingham and other major towns in the West Midlands region. West Bromwich railway station was opened by the Great Western Railway on its route between Birmingham Snow Hill and Wolverhampton Low Level on 14 November 1854. The trackbed of that line is now served by the Midland Metro light rail (tram) system giving West Bromwich 7 tram stops: The Hawthorns tram stop, Kenrick Park tram stop, Trinity Way tram stop, West Bromwich Central tram stop, Lodge Road West Bromwich Town Hall tram stop, Dartmouth Street tram stop and Dudley Street Guns Village tram stop. The nearest main-line railway station is now Sandwell and Dudley railway station, approximately 1 mile (2 km) away in Oldbury town centre. Though services to Stourbridge Junction, Worcester Shrub Hill, Worcester Foregate Street, and Birmingham Snow Hill, Birmingham Moor Street call at The Hawthorns railway station. The nearest airport which is approximately 16 miles (26 km) away, is Birmingham International Airport, which can be reached by tram to Birmingham New Street and train to Birmingham International. Carters Green, High Street and the beginning of Birmingham Road formed the original main route through West Bromwich as part of Thomas Telford's London to Holyhead route in the early 19th century. This later formed part of the A41 road which links London with Merseyside, taking in the midlands, Shropshire, Warwickshire, Oxfordshire, Buckinghamshire and Hertfordshire on the way. However, the route through central West Bromwich was by-passed in 1973 on the completion of the Expressway, a two-mile (3 km) dual carriageway beginning at Carters Green and finishing at Junction 1 of the recently completed M5 motorway on Birmingham Road. The original A41 road through the centre of West Bromwich was downgraded to an unclassified route. Around this time, West Bromwich Ringway was opened, circulating the main shopping areas. Further revolution came to the local road network in 1995 with the completion of the Black Country Spine Road which stretches from Carters Green to Bilston via Wednesbury, forming another new section of the A41. The largest educational provider in the town is the Central Campus of Sandwell College. This is housed in a £77 million building opened in February 2012. The college is capable of enrolling over 5,000 students each year across many curriculum areas. Central Sixth delivers the college's A-Level programme covering some thirty different subject areas. Facilities in the Central Campus include a Boeing 737 fuselage used for training aircabin crew and a dental surgery used to train dental nurses. Central Campus also offers a wide variety of apprenticeships and a small number of Higher Education programmes. The town is served by five secondary schools: George Salter Academy, Health Futures UTC, the Phoenix Collegiate, Q3 Academy and Sandwell Academy. The town has 21 primary schools in total. Some of which are Lodge Primary School, St. John Bosco RC Primary School,Ryders Green Primary School, All Saints' CofE Primary School, St Mary Magdalane, Hateley Heath and Eaton Valley. Sandwell Academy serves the whole of West Bromwich (along with the rest of Sandwell), Phoenix Collegiate Academy serves the area around Hateley Heath, Tantany, Charlemont and Grove Vale and Stone Cross, West Midlands. George Salter Academy serves the west of the town near the border with Tipton. Q3 Academy serves the north-eastern part of the town around Great Barr. The area was also served by Churchfields High School, approximately 1 mile (2 km) to the north of the town centre. Due to constant closure rumours, less and less pupils began enrolling to attend the school and it was closed in July 2001. The site has since been redeveloped for housing. The town's sport scene is dominated by West Bromwich Albion F.C., who were founded in the town in 1878 and played at a stadium near the town centre until they moved to their current home, The Hawthorns on Birmingham Road (on the borders of Smethwick and Handsworth) in 1900. Although they are now in their 115th year at the stadium, all traces of the original structures are long gone; the oldest stand is the Halfords Lane Stand that was built in 1979 and the other three stands were built between 1991 and 2001. During the summer of 2008 the Halfords Lane Stand was refurbished and is now called the West Stand. 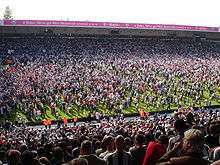 Fans spill onto the Hawthorns pitch following West Bromwich Albion's escape from relegation in 2005. Albion were among the 12 founder members of the Football League in 1888, along with their two fiercest local rivals – Aston Villa and Wolverhampton Wanderers. The club has won seven major trophies; five FA Cups, one Football League title and one Football League Cup. Their most recent major trophy came in 1968 when they won the FA Cup with a 1–0 win over Everton at Wembley Stadium. They enjoyed further success in the late 1970s and early 1980s, when they finished in the top five league positions three times in four seasons as well as reaching a UEFA Cup quarter-final. However, since relegation from the old Football League First Division in 1986 (this division became the Premier League in 1992) they have played in the top level of English football for a total of just four seasons. This spell of relatively disappointing performances included 16 successive seasons without top division football, two of which were spent in the third tier of the English professional league system. Notable former players of West Bromwich Albion include Ronnie Allen (who later had 2 spells as the club's manager), Bryan Robson (who was also later the club's manager), Laurie Cunningham (the first black player to play for the full England national football team, but who died in a car crash in 1989 aged only 33), Tony Brown (the club's all-time leading goalscorer) and Jeff Astle (who scored the club's winning goal in the 1968 FA Cup Final and remained a cult figure among Albion fans). The local cricket team is West Bromwich Dartmouth Cricket Club and is based in the town, very near to West Bromwich Albion's ground, the Hawthorns. Al Atkins - Founder member of Judas Priest, and still lives in West Bromwich. John Bainbridge – Author and countryside access campaigner, born in West Bromwich, raised in Great Barr. Fred Perry - From Tipton, Awarded an MBE for his services to the community in surrounding area. 1 2 "Census 2011 Key Stats". Sandwell Trends. Sandwell Metropolitan Borough Council. Retrieved 2 July 2013. 1 2 "Census 2001 Key Statistics, Urban areas in England and Wales". Office for National Statistics. Retrieved 2 July 2013. ↑ "Weatherbase.com". Weatherbase. 2013. Retrieved on 4 June 2013. ↑ Haywood, Bob (19 May 2013). "Investors in The Public could be set to sue". Birmingham Mail. 'West Bromwich: Social life', A History of the County of Stafford: Volume 17: Offlow hundred (part) (1976), pp. 70–74. URL: http://www.british-history.ac.uk/report.aspx?compid=36169. Date accessed: 23 April 2008. Wikivoyage has a travel guide for West Bromwich.